How did you about presenting your speech to the class? I felt Confident at first but when i went up i was still confident but when i started my speech i don’t know why but i just talked too fast. 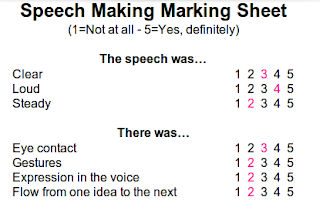 What was the hardest part about preparing a speech? The hardest part was structuring the speech and persuasive idea’s. What did you enjoy most about speeches? I really liked how they persuaded me and describing visions from both sides. 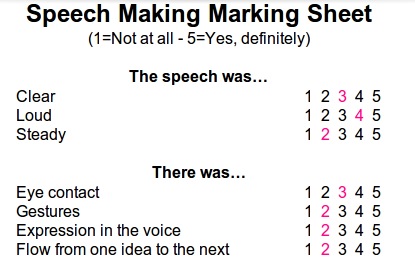 How could you improve your speech making next time? I could practiced more in front of more people so i can get used to it.